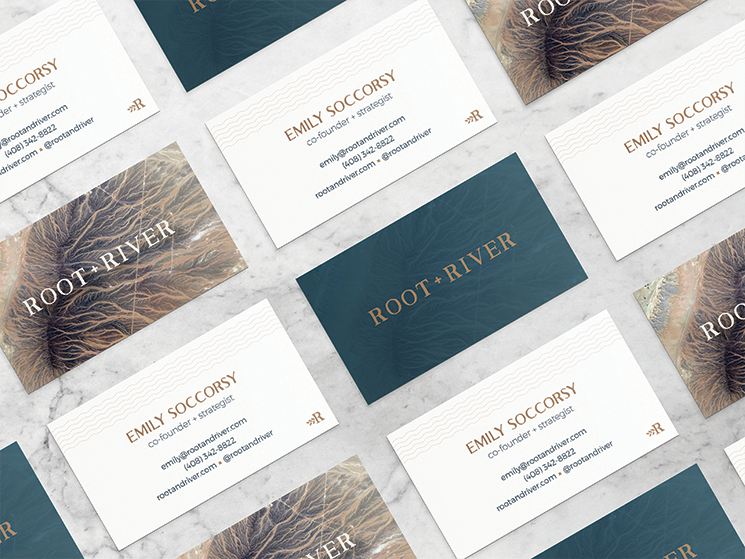 Jennifer Pace Duran designed these business cards for Root + River, a coaching business based in Austin, Texas. With simplicity in mind, Jennifer created the primary and secondary logos for the brand, at the same time used warm and earthy colour palette for the overall ‘nature’ vibe. 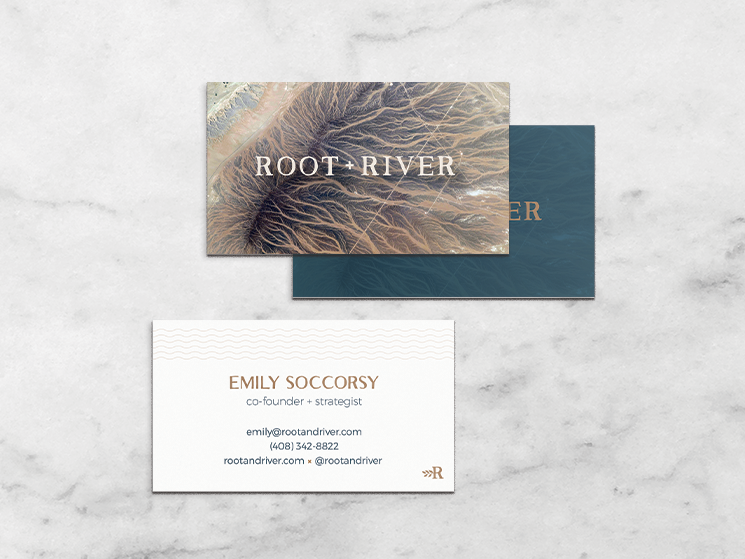 Even the wavy lines above the contact info make people think of river flowing! These business cards were printed by Moo due to its ability to have different back designs, and that’s not all. “It was also important from a design aesthetic to get the Luxe style, because we wanted the extra thickness, the natural textured feel and being able to have a seam colour,” Jennifer added.  All in all, it’s a classic and stunning design with an organic feel!